OverviewSave the town of Lizard Breath from mutant ants in this B-Movie inspired adventure/strategy game. The game is simular to the 1950's movie called "Them" which was about some giant ants who were the result of atomic testing in the desert. The game takes place in a small desert town which begins to have wierd things going on. You do some investigating and find that there are giant ants about. You must destroy them before they destroy every one and every thing. There is a sequel called It came from the desert II. Now you can add videos, screenshots, or other images (cover scans, disc scans, etc.) 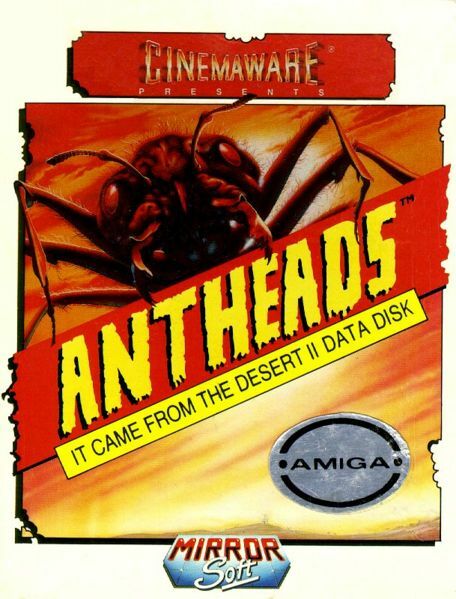 for It Came from the Desert to Emuparadise. Do it now!